You’ve worked hard for years and it’s finally led up to this moment: your graduation day. 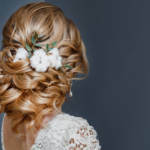 There’s no doubt you’re fit to burst with excitement and nerves and have a bundle of responsibilities to take care of to prepare for your big day, including your hair! Most graduates want cute hair with little hassle, but what work they put in is soon ruined by their graduation cap. Luckily, we have a few tips for avoiding this unfortunate happenstance. While it’s tempting to go all out for your graduation hairstyle, you’ll still have to keep the cap in mind. It’s one of the most important elements of your graduation day, besides your diploma, and you can’t get out of wearing it. Put some serious thought into how you want to look, how it will fit with your cap. No matter what you decide, you want to take care of any hair-related issues a week before your graduation day to make sure your style looks good with your cap. Graduation often takes place in summer, which is the prime cause of dryness and frizzy fraying in hair. 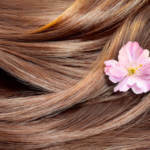 We recommend investing in sulfate free shampoo, which will help preserve your hair’s moisture. Additionally, you want leave in conditioner for a similar purpose. Leave in conditioner both adds in extra moisture to your hair and locks it in. This will severely lower your chances of frizzy hair on your big day. Other products, such as protective sprays, will work wonders and keep your hair looking great! If you just aren’t up to putting a lot of effort into your hair, a quick and messy braid should be your go-to hairstyle of choice! They’re both super cute and easy to style your hair into. If you want to spice the style up, you can always turn to accessories or extensions for a bit of quick pizzazz and personality. To create this style, all you have to do is create a side part in your hair, then adjust it so it’s piled toward one side of your head. Braid from the roots of your hair downward, then tie a band around it before running your fingers through to loosen it up a little. Voila! You can now enjoy your look and your day! Curls are another great hairstyling option, though they take a bit of extra care to prepare for your cap. First, you want to run a brush over your curls to loosen them up properly. This will flow better with the hair hidden underneath your cap and improve how your hair looks tenfold. Consider this a general quality hair care tip from us to you! 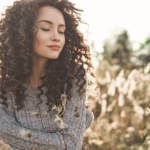 We at RemySoft want to help you look and feel great all year ‘round! Contact us to learn how else we can help you and your hair.